By Lori Allen Ohm. 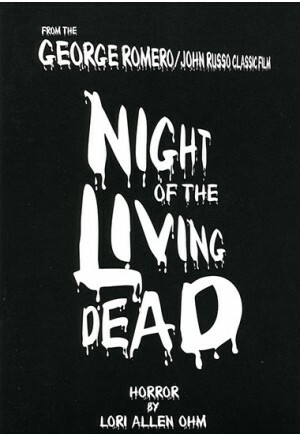 Based on George Romero and John Russo's original film. Cast size: 12m., 5w., plus 15 to 20 zombies. "Wild and crazy, huge audience appeal, a hit with students." 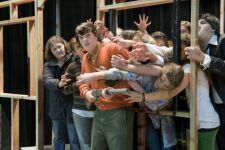 Review by Joanna Goff, Edmonds Community College, Lynnwood, Wash.
"... My advanced theatre students loved becoming frantic, hysterical beings trapped in a house. They had a blast working with horror makeup/fake blood ... There are a lot of characterization possibilities in this piece. We got to work on the dynamics of fear, terror and the human responses they elicit. The zombies loved playing out evil." Review by Krista Klanderman, Menasha High School, Menasha, Wis.
"Of all the plays I've directed at Eastern, this has been my favorite. This adaptation was true to the original film. The challenge of making every aspect of the show black and white was worth it. The audience was both pleased and scared." 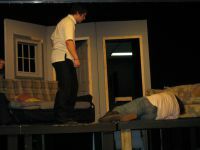 Review by Thomas Drago, Eastern Alamance High School, Mebane, N.C.
"Night of the Living Dead was a fun and challenging play to produce. We selected an artistic approach rather than pure horror. The audience reacted positively. Students loved acting in this one." 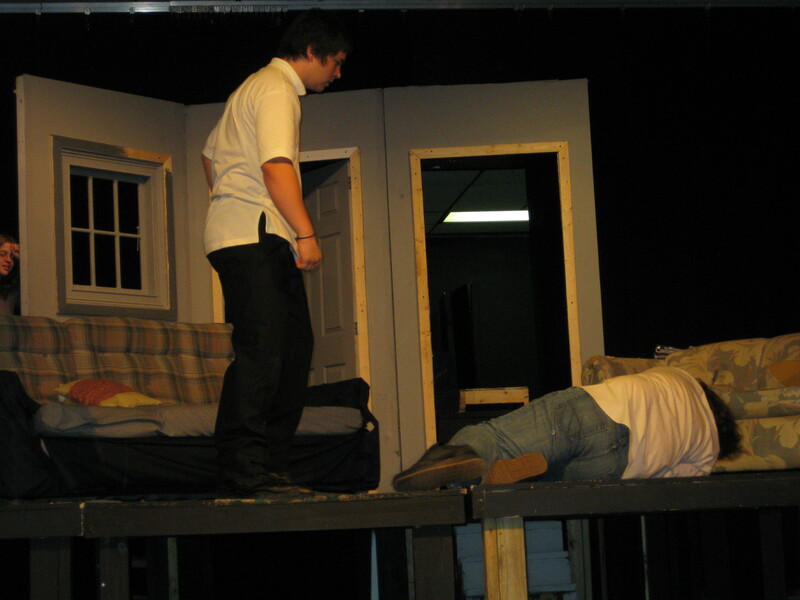 Review by Jennifer Henselin, Oshkosh North High School, Oshkosh, Wis.
"This script was the perfect Halloween horror. The title alone put exciting fear in the teens who auditioned, and the gut-wrenching plot had audiences screaming for more!" Review by Karin Richey, Palo Alto Children's Theatre, Palo Alto, Calif.
"It is written in a style that lends itself to camp. We had a great time learning about camp and playing up all of the "moments" inherent in the script. The make-up for the zombies was a challenge for my make-up artist, which she enjoyed. This is a fun show for high school students. 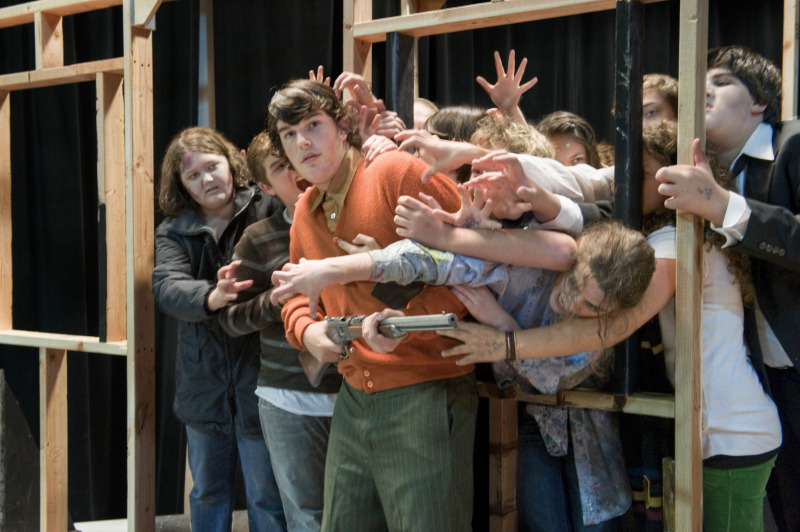 It brings new people to theatre due to its appeal to zombie lovers!" Review by Rebecca Sartor, Rutland High School, Rutland, Vt.
"Make sure you have enough hairspray. We had to run out the day of our second performance to stock up." Tip by Thomas Drago, Eastern Alamance High School, Mebane, N.C.